Working Title: "A Night At The Auction"
Note: This is a Sequel to "A Day At The Ballpark"
The characters from "A Day At The Ballpark" return -- to "rub elbows and conflict with the proverbial snobs" when they sponsor and coordinate a charitable, upper-class society event. And deal with all the zany problems, obstacles, detractors, egoist artists, and the assorted characters that go along with it. Comparison/Along the lines of: A Marx Brothers film. This is a sequel to "A Day At The Ballpark" outline submitted earlier. I have numerous bits for this concept that again lend themselves well to what The Marx Brothers did. 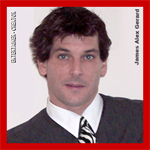 To obtain the author's permission (if needed), you may send a private message to James Alex Gerard directly from the author's profile page (Sign In / Sign Up required). I would like to view full length skits. Thanks.